The city of Norwalk has a population of 8,945 residents and is part of the Des Moines West Des Moines Metro area. The city is located just south of the Des Moines International Airport and is shared by Polk and Warren counties. One of the interesting tidbits surrounding the city is its proximity to golf courses. Norwalk is within 10 minutes of five major golf courses and clubs. 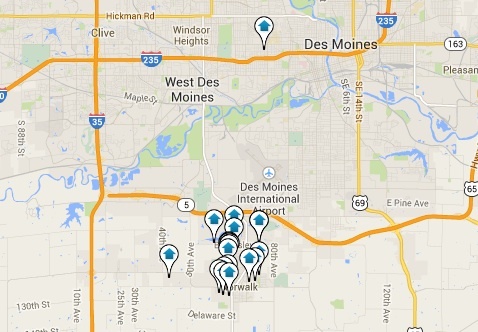 It is also very close to the Great Western bike trai, the Des Moines International Airport & AIB University. In 1900 when Norwalk was first incorporated, it was only one square mile at the time. Now there are approximately 3,261 households made up of 2,472 families enjoying all the benefits of this beautiful city. There are approximately 3450 housing units made up of single-family homes. Approximately 83.2 percent of residents own their home here. Norwalk has a median home value of $180,000. There has been a steep increase over the past year (nine percent) and analysts predict another 0.1 percent increase over the next 12 months. Median list prices for homes in the area is currently at $208,900 but the median price of homes that are sold is $177,000. Homebuyers are looking seriously at Norwalk because of its beautiful scenery. The city has numerous available outdoor amenities for those with an active lifestyle. Its proximity to the Des Moines Metro area makes it ideal for commuting.